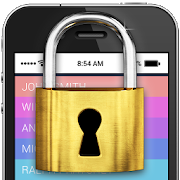 Cosmic Lock Screen is free application which enable to protect your phone privacy. Choose one of 4 types of lock screen and then select favorite backgrounds and other items. Set charging screen and notifications as you wish. When an intruder will attempt to break your password you will receive his selfie by email. Your phone will always be safe! – Slider – swipe your finger on screen to unlock phone. – taking a picture of an intruder who mistype the password. – customize your lock screen: lots of patterns, keyboards, sliders and over 400 available backgrounds. In case of any problems with the effect of Cosmic Lock Screen, instead of giving us the negative opinion, please send us an e-mail and review briefly the problem. It will help us to solve it in the next updates of lock screen application. Cosmic Lock Screen is free but contains ads inside application. Revenue from advertising will help us to create new attractive applications. All permissions are required only for advertising and are supported by trusted vendors.